You love your horses and want to give them anything that could make their lives better. Horses are typically covering up pain and tension in their bodies, making it hard to recognize a problem. This pain and tension will affect your horse’s performance, causing problems during competition. I can help. 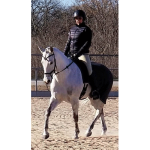 By using Masterson Method, I can recognize the subtle issues causing your horse pain before it becomes a bigger issue. Contact me today for a free consultation. Horses are typically covering up issues we don’t always recognize at first. With 228 hours of training in the Masterson Method and Advanced Equine Anatomy, I can pick up on subtle issues before they become bigger. Horses compensating for any discomfort due to repetitive work, pain or lameness, this causes tension in muscles that can restrict movement in the joints and major junctions of the body. I can help alleviate the tension that is cause problems. Your horse has difficulty picking up or staying on a particular canter lead. A horse will often resist the bit to avoid pain or discomfort in the upper neck, atlas, poll or TMJ. Horses that compensate for the lameness over a long period of time can create tension in their muscles. 95% of head-shy horses are due to pain and tension in the poll and atlas. Bucking, rushing, and other behavioral and training issues are often pain-related rather than training issues. Kelly has been a welcome face at ROCK for many years! She started as a Volunteer and went on to be on our Conditioning Team to help with the physical and mental aspect of therapy. She has now done many Masterson Method sessions at ROCK with our Staff, Volunteers and recently our Veterans. Kelly has the most patient and gentle way with our horses and our humans. I am confident in her ability to read the horses and excited for her future with ROCK! 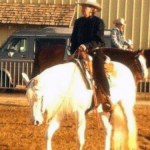 The horses Kelly has worked with at Pecan Creek Ranch absolutely love her! We have also been able to incorporate what she has taught us about Bladder Meridian into our practice with clients. It offers a unique way for them to connect with their horses, often opening up new pathways for them to begin looking at connection and relationship in a different way. Kelly has worked on my horses several times over the years. It is evident how much she cares about them. They always feel so much better physically and mentally after she works on them. I think it says volumes that they recognize her when she comes, even if it has been a long time. I highly recommend Kelly’s services. She’s amazing! 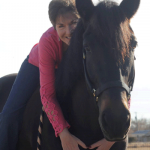 As for the Masterson Method- I learned the Masterson method from Kelly to not only help the horses who are part of our therapy teams but also to be able to teach my therapy clients. 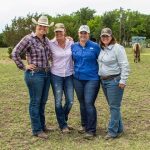 This method is wonderful for helping clients learn to connect with themselves and their horse partner. A client said this week I have never felt so close to my horse as I did when when I helped relieve the pain in his neck. It was so helpful to be so attuned and to see how I could connect so deeply without touching him. 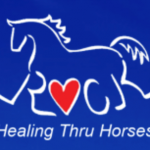 This method is very beneficial for clients and for caring for your horses health. 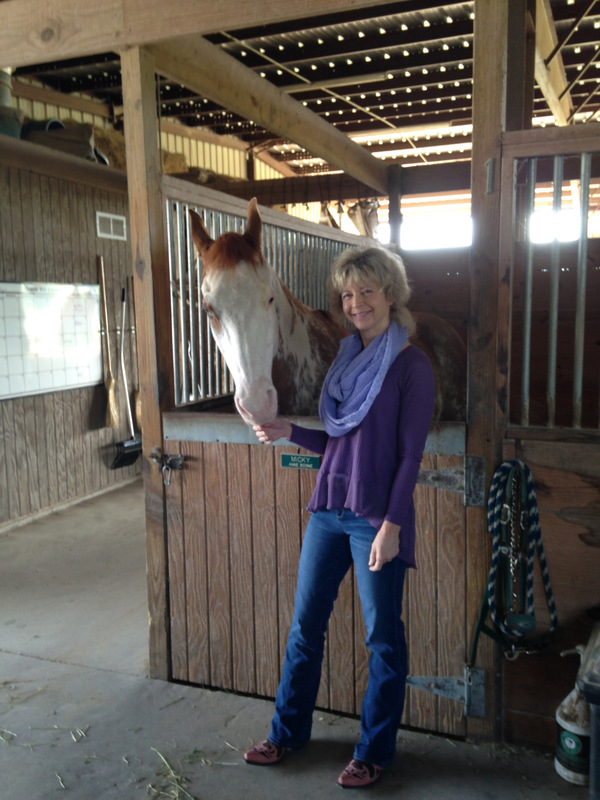 Kelly’s Equine Services is so very welcome to Texas Hill Country. Our horses and their owners are being given an incredible gift! Kelly has worked with my gelding for over a year and he knows and welcomes her presence because he knows, and I know, that when she leaves, our world will be better! Kelly has an incredible knowledge of equine body bio mechanics and is likely one of the best Masterson Method practitioners that I have ever met and had the privilege of working with. I look forward to her full time availability! I have horses lined up and waiting for her. Kelly's work with my horse helps with his suppleness and release of tension in his poll and back. Her massage work makes my training rides more effective and yields a healthier, happier horse. Kelly does body work on a regular basis on (Vegas/ my horse). She can give me insight into what is going on with him and what I can do to help to help him. I want him to feel good and be a happy athlete. Kelly's compassion and continual thirst for knowledge amaze me! Discovering the difference between primary and secondary issues can be the reason for the underlying issues your horse is having with performance, behavioral, or training issues. Often, we focus on secondary instead of the primary issue that is causing all the problems. Knowing how to find those primary issues is the difference between your horse’s improved performance and having to fix an issue continually. Horses are herd animal and instinctively will not show outward signs of pain or weakness. Consequently, primary issues can go undetected for a long time and often identified as something else. The problem is, when identified incorrectly, the issue continues to persist. For example, some performance problems might be related more to pain rather then training issues. When the pain is taken care of, the performance problems improve.